Just about every modern camera today, out of the box, will focus when the shutter button is depressed half way. 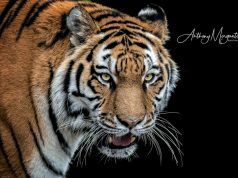 As you get further along in photography and learn more techniques, you’ll find that this isn’t the most efficient way to focus on a subject or a scene. The alternative to shutter button focusing is what is commonly called, back-button focusing. 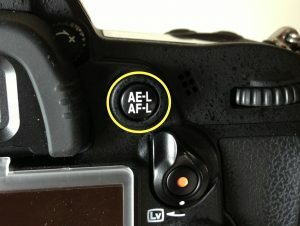 Most modern DSLR’s have an option to move the focusing duties from the shutter button to a button on the back of the camera that is easily depressed with the photographer’s thumb on their right hand. You don’t have to be concerned with how hard you press the button because you won’t inadvertently trip the shutter. This one is pretty much obvious. You can press the back button to focus and not really be conscious about how hard you’re pressing it nor worry about tripping the shutter. 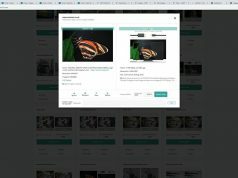 When photographing moving subjects, you can follow the subject and keep it sharp in the frame and not commit to the exposure settings until you press the shutter button. 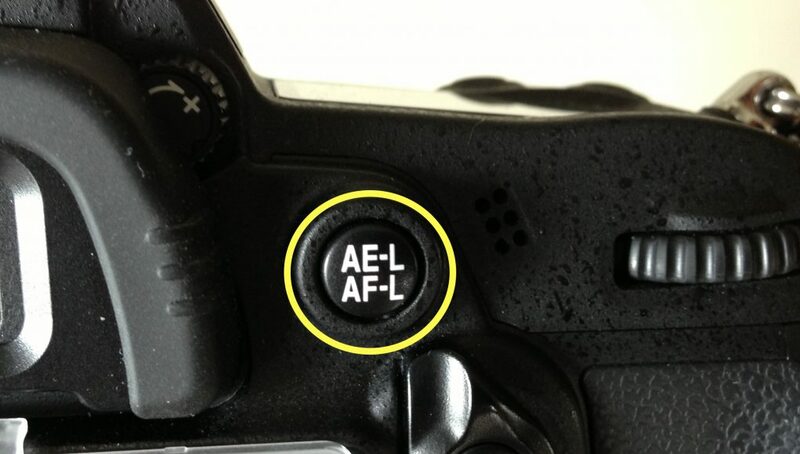 This is particularly useful when using continuous focus mode; AF-C on Nikon or AI-Servo on Canon. An object is moving across the scene, you hold the back-focus button in and follow the subject. Your camera will keep the moving subject in focus as you follow it. When you get it framed at the spot you want to take the picture, you press the shutter to seal the deal. Exposure is set the moment you press the shutter. Wildlife, sport and action photographers set their cameras up in this manner to capture those fleeting action shots. 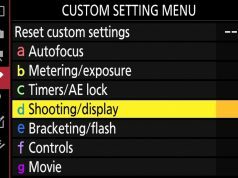 You don’t have to keep switching your lens into manual focus mode because you’re camera won’t be focusing when you press the shutter button. Typically, a landscape photographer focuses on something in the foreground or perhaps they focus a third of the way up into the scene. They’ll point their camera at this focus point to achieve focus then reframe the shot so that the point they want to be in perfect focus in now in the foreground. If they use shutter button focusing and hit the shutter button to take the picture, before releasing the shutter, their camera would focus on another point. Most likely that point would be in the center of the reframed shot and the foreground subject would drop out of focus. The way around that problem is after they focus on their foreground subject, they switch their lens into manual focus mode. Now when they reframe and hit the shutter, the camera doesn’t try to re-achieve focus. A better, quicker method is to use back-button focusing. Frame the object in the foreground and focus on it by pressing the back-button focusing button. After focus is achieved, let go of the button and reframe the shot as you desire. 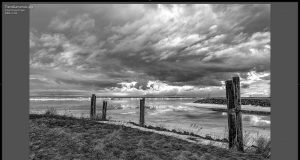 Now, when you press the shutter button, your camera will not attempt to achieve focus again and your foreground point of interest will be perfectly focused. Using back-button focusing in this instance is quicker and more efficient. You don’t have to keep switching your camera or lens back and forth between auto and manual focus modes. Focus once, reframe and shoot. Even for standing still, focal point subjects, it’s a better way to shoot. Suppose you’re photographing someone giving a speech at a podium. They’re not moving, you’re not moving. You press the back-button once to focus on their eyes then snap away not refocusing unless you move or they move. This way you’re sure your camera is focused on the person’s eyes and not, every now and then, pulling focus on the flag behind the speaker or perhaps the microphone cord running down the front of the podium. Less wasted shots! As you can see, back-button focusing is just an all around better way to achieve focus in varying situations. Since I’ve started using back-button focusing with continuous servo, I’ve found that my throw away shots have diminished greatly. Give it a try! You’ll be surprised to find that you’ll get used to it rather quickly and wonder why you didn’t switch to back-button focusing sooner.